it not exits! For more help follow clover wiki! Where can I download latest version, instead of update? Thank you! Clover Configurator is a must for Clover system. How about including this fanstatic program in Clover installer? If CC opens config.plist without ClockID key -> it's checked -> save file again and it automatically set ClockID = true. Great work mackie fixing all those little issues in the latest update! - The MountEFI key is not only boolean, it could also be a string that contains the partition UUID you want to mount. - Even though the system still uses them,?the ROM and MLB keys were deprecated according to the wiki and they will disappear on a future cleanup. I'd like that as well. 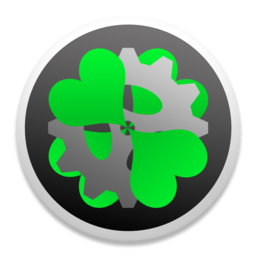 It is a really useful and convenient way for most people to configure their Clover setup. How about asking Slice again to include it in the installer now that it's matured. Yes I know but I see many people that still use these keys!!! Then how about letting the user know those keys will be deprecated soon, like with a label or note on them? Default behavior for DropOEM SSDT is different between ivybridge/haswell system and others. So missing DropOEM means true or false based on processor. great job! ?i used cloverconfigurator to change the GUI theme and now the recovery partition icon is hidden. ?i can't find in CloverWIki how to unhide it. check this pic and in badges section check only "show"
Unable to download from server http://switch.dl.sourceforge.net/project/c...r_v2k_r2236.zip. Is there any way to tell CC to use downloaded file. Yes I know, thank you for you report!!! the "switch" server is down! i will change in another server!!!! DropOEM SSDT = true and GeneratePStates, GenerateCState=True if you don't have those values in config.plist. Also, I think we should have option to specify custom boot arguments in addition to predefined arguments. It was perfect. Maybe you guys want to try some tests before move on to fancy install stuff. why?? What is the problem?? but these values are disabled by default! No Mackie, they are enabled by default. I uncheck Generate in config.plist, which remove it, but I still see Generate in boot.log. Set it to false manually fixes it.